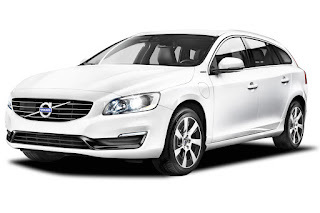 Home » Car leasing » Financial Tips » Saving » Is a Hybrid Really the Next Step? Is a Hybrid Really the Next Step? With the popularity of hybrid cars growing in the UK, the decision to finally make the switch is becoming a more viable option for many individuals. Not only are you helping the planet, but you can also expect to save significantly on the cost of fuel. What’s not to like? Well, with the extra money you’ll be spending on electricity, the savings might not be as large as you initially expected. There’s also the fact that hybrid vehicles often demand a premium over their standard equivalents. This means that those working on a tight budget may have to look elsewhere. Choosing a vehicle with a highly efficient engine, like the latest Ford Fiesta range, is the next best thing. First introduced to us at the L.A. Auto Show in 2009, the goal of Ford’s EcoBoost technology was to create an engine with the level of power and torque consistency its customers expected, but in much smaller, more fuel efficient package. To tackle the inherent size constraints, the company used a combination of turbocharging and direct fuel injection in an effort to to offer a competitive alternative to the power output and fuel efficiency often seen in hybrid vehicles. Most people aren’t interested in the nitty-gritty details though. What’s important is how will it affect them or, more specifically, how it will affect their bank balance. Ford claims that cars using this new technology can expect to achieve approximately 20% better fuel efficiency and 15% reduced greenhouse emissions compared with vehicles of similar power. Thankfully, all of this comes at the same affordable prices we’ve come to expect from the company’s Fiesta range. The latest 2015 range starts from £8,995 or £148.79 on a monthly rental contract from Select Contracts. It’s three-cylinder, 1.0-litre EcoBoost engine can deliver up to 123 bhp with an EPA rating of 85.6 mpg. CO2 levels are down to the lowest they’ve been, clocking as low as 87g/km. For those worried that in order to get this performance the Fiesta would have to compromise in other areas, such as safety, think again. The Fiesta received a four-star safety ranking from the NHTSA and features many of the company’s advanced safety features, such as Ford SYNC and Active City Stop technology. Those in the market for a new car have a host of options available to them. For those shopping on a budget, though, the Fiesta may be the best option out there.